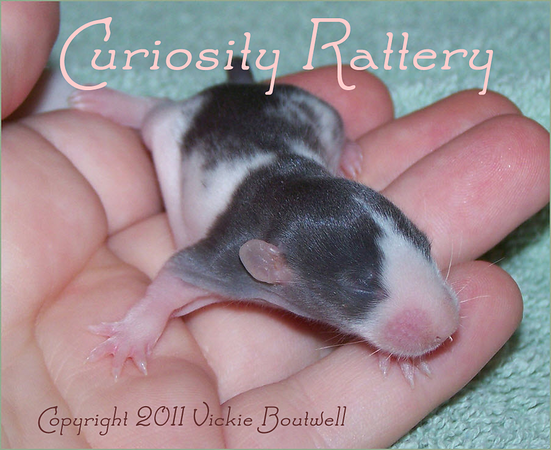 The site for Curiosity Rattery, now CuriousV Productions, owned by Vickie Boutwell, has an old but excellent set of photographs for sexing baby rats. If you visit Curious V Productions you will find a new book and DVD for Vickie Boutwell's, "Guide to Rats". If you want to return to the individual page below, "Litter Journal - Sexing Babies", here is the direct link: http://firstrats.tripod.com/litters/id79.htm. And visit Curiosity Rattery, now on Facebook. Careful: Separate baby boy and girl rats from each other, and the boys from their mother, by age 5 weeks, or the females will become pregnant and you'll start all over again!